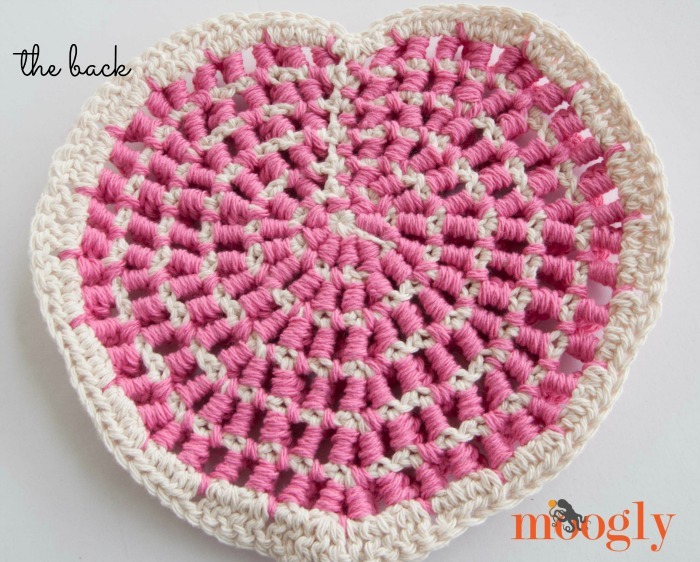 Love Wiggles is a trivet, a table decoration, a textured bit of crochet craftiness that will inspire you to get creative and celebrate love! And it’s just plain fun to make! 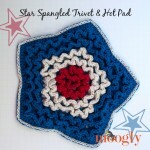 I took the idea from the Wiggle It Trivet and upgraded it for Valentine’s Day – or any day you want to show your love. 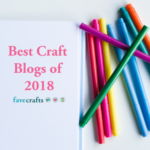 This super 3D crochet pattern is perfect as a table protector under hot dishes during romantic (or not so romantic) meals – but it’s important that it be made with cotton so it doesn’t melt! 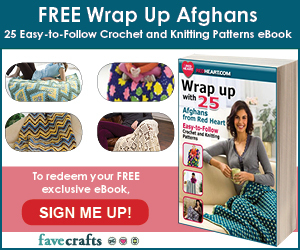 You could also use sew two together for a gorgeous pillow, or make it with bulky yarn and use it as a cushy stool cover – the possibilities are up to your imagination! NOTE: The “wiggles” are worked in a continuous spiral, starting in the middle and working around and around to the last Round of mesh (round 6). The instructions are broken up a bit to make them easier to read, but you can just keep going around and around until the mesh is all filled in. 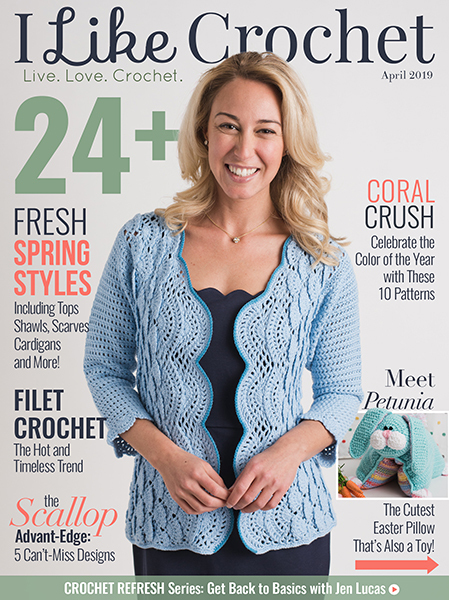 If you are unfamiliar with wiggle crochet, please view the video tutorial linked above. Round 1: Join with dc around bottom of post of 1st dc of Mesh Round 1, dc 2 along post, working to the top of the post, dc in next ch-1 sp, 3 dc along post of next dc (working top to bottom), *3 dc around post of next st (working bottom to top), dc in ch -1 sp, 3 dc around post of next st (working top to bottom); repeat from * around to last 2 sts, 3 dc around post of next st (working bottom to top), dc around ch-1 sp, dc around sc (the 1st st of Mesh Round 1), dc in ch-1 sp; do not join. Round 2: Dc 3 around 1st dc of Mesh Round 2 (working bottom to top), dc in ch-1 sp, 3 dc along post of next dc (working top to bottom), dc in ch-1 sp, *dc 3 around post of next dc (working bottom to top), dc in ch-1 sp, dc 3 around post of next dc (working top to bottom), dc in ch-1 sp; repeat from * around, then dc around sc, dc in ch-1 sp; do not join. Round 3 – 6: Continue as in Round 2. At the end of Round 6, break yarn and use needle to sew end to last st of previous round for stability. Do you love it? If you’re confused on the Wiggles, the linked video tutorial should be a big help. And if you get turned around, it’s okay – just head over to the part you missed and fill it in! 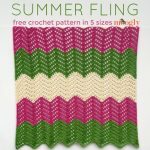 This is a fun pattern to make your own, and I hope you enjoy it – and share it with someone you love! 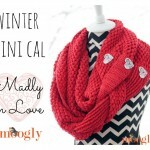 Madly In Love Mini Crochet-Along Part 1! OMG! so cute. heading over to pick up yarn tomorrow to make this week end!!!! Thanks! 😀 Thank you so much Linda! Cute! Would easily be adaptable to turn into a 3D brain! 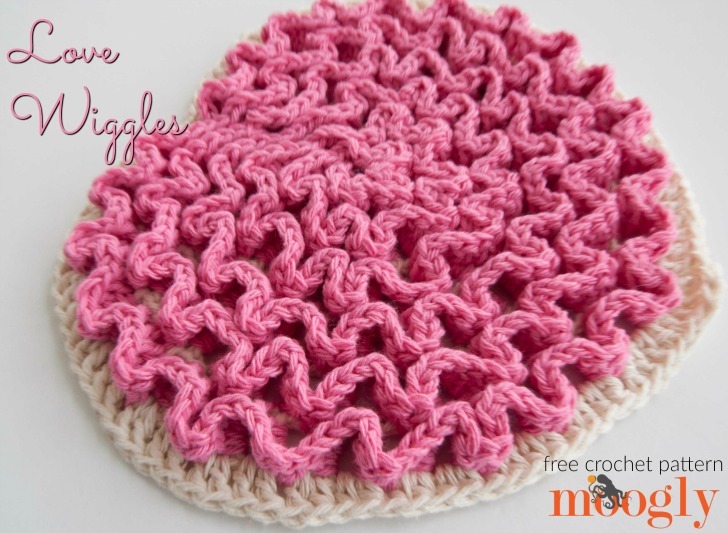 Wiggly crochet is perfect for brains! 😀 Thank you! 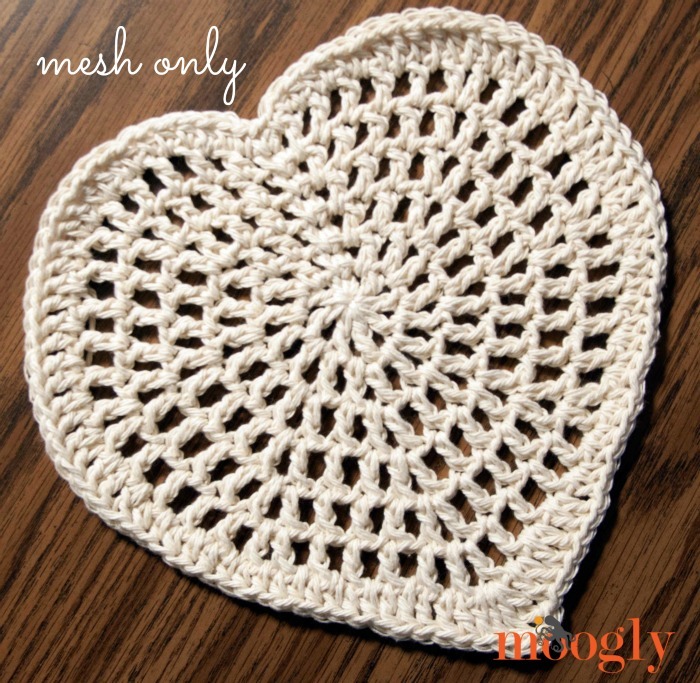 Cute heart pattern, even like the mesh background by itself. Thanks so much for putting the pattern on your page an not have to download it, my tablet is not working when I try to download, so I’m glad it’s just on your page, wish everyone would do that. Thanks for all your other great patterns too! 😀 Thank you so much Sharon! I appreciate you saying so! I love this. My sister-i-l taught me how to do the trivets last January, but I didn’t know the name of the work. Now we can do hearts! How lovely in pink for my cancer survivor Sis and our TwinFriend!!!!! OMG! 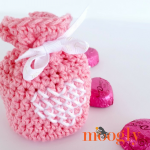 This is so cute and will make a perfect Valentines Day present for my mom! Love the Wiggles Trivet and I want to make it. Question, how many stitches for the magic ring? eight? 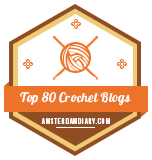 Sorry, I crochet a lot, but need lots of direction LOL. Hi Sharon! 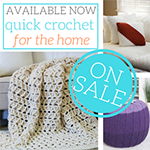 Basically, it’s crochet in 2 sts, then crochet in the ch sp, repeating. Does that help? 😀 I’m glad to hear it! Thanks Sharon! 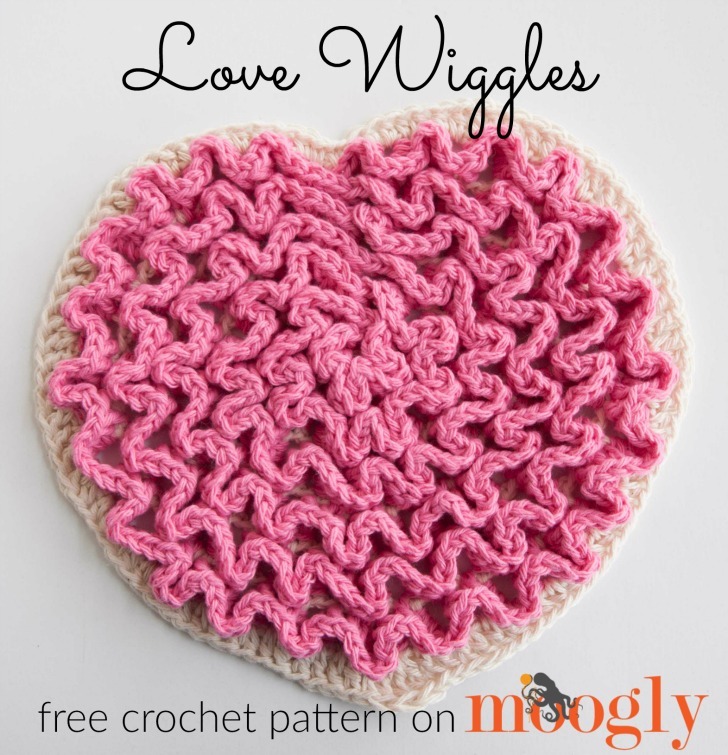 Why do you keep promising the free pattern Love Wiggles Trivet but won’t ever give it to me? I’m not sure what you mean Martha, it’s right here on the page. 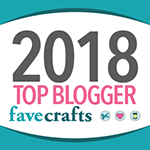 Hi Tamara, I’m making your lovely Love Wiggles Trivet! I think there’s an error in the Wiggles section though – in the repeat on Round 2, it currently reads 3 dc up and 1 dc down. It should be 3 dc down too, shouldn’t it or am I misunderstanding something? Thanks.